Mike Cotty of the Col Collective goes for a recon ride to see the short Pyrenean stage and ride the lesser-known Col de Portet. Everyone is talking about the 2018 Tour de France‘s stage 17. It is short at 65 kilometers but has a tremendous amount of climbing — over 3,000 meters. Tour organizers believe this stunningly beautiful backdrop and the summit finish at 2,215m will encourage attacks. Pure climbers should thrive in the rarefied air. Mike Cotty of the Col Collective went out for a recon ride in October to check the Pyrenean route and ride the lesser-known summit finish, Col de Portet. 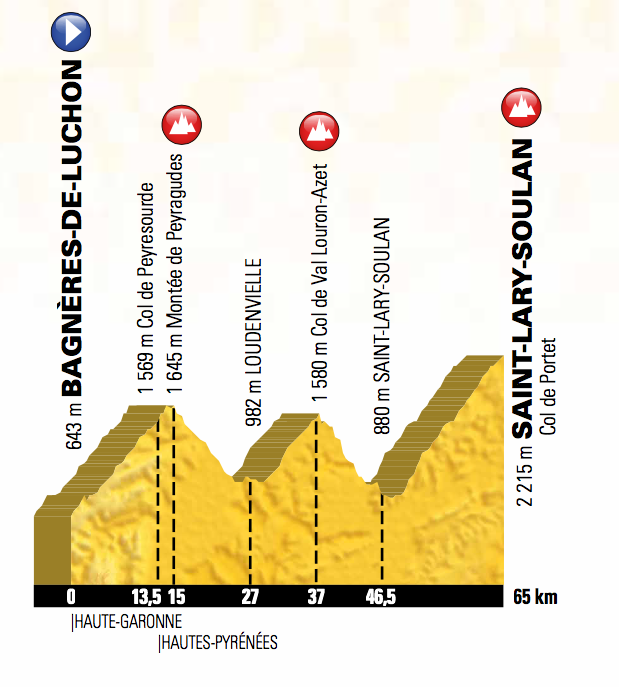 Stage 17 is exceptionally short at 64km with more than 3,000 meters of climbing.